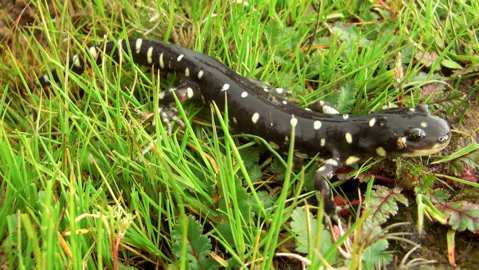 The first step in finding the best way to protect the Santa Barbara County population of the federally endangered California tiger salamander went forward on Friday, with the U.S. Fish and Wildlife Service releasing its draft plan toward that effort. Recommendations in the plan address habitat loss and fragmentation of the amphibians. The population here was placed on the Endangered Species List in 2000, having suffered habitat loss due to growth in agriculture and development in the area, as well as dangers from predators, and car accidents; most of the amphibians here live on private land. Early last year, the county’s first conservation bank for the species opened in North County, providing not only a preservation area but also a mitigation opportunity for developers. The salamanders require two separate habitats, as they spend the dry months underground and the fall and winter months traveling to breeding months.